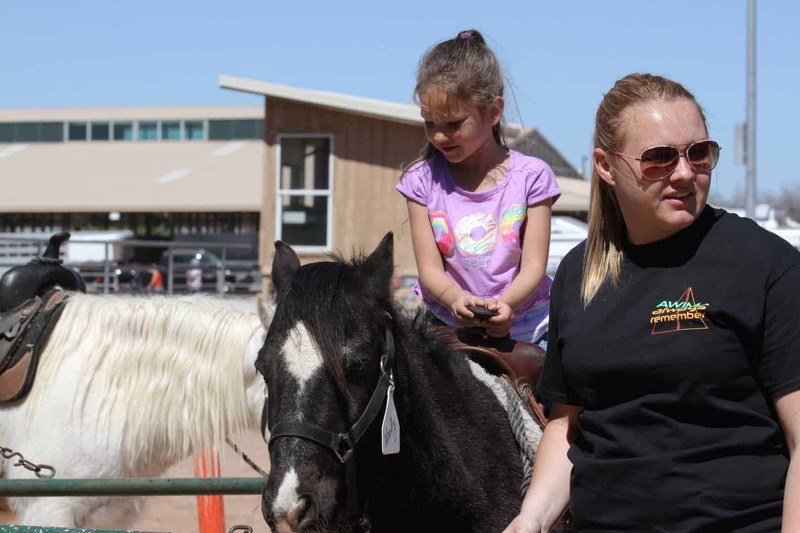 Smiling faces, laughter and adorable animals are what you will find when you check out our Petting Zoo! 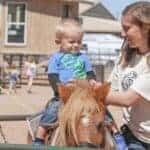 Sponsored by Passey Farms, entry into the Petting Zoo is free! 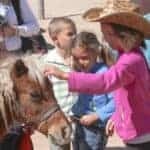 You may also have the opportunity to purchase feed to give to the animals. 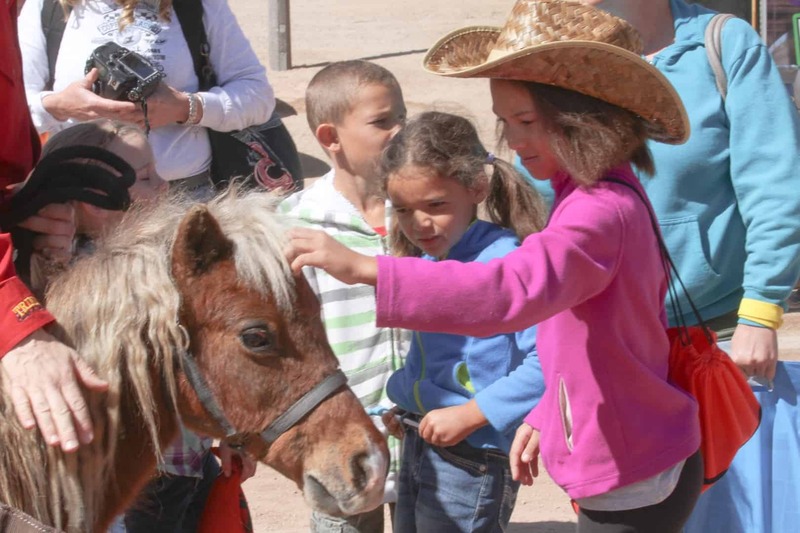 Your little one – and even the older folks in your group – will enjoy getting up close and personal with animals such as goats, chickens, and perhaps an alpalca! 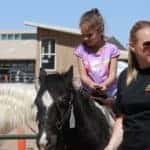 Right next door to the Petting Zoo you will also find the Pony Rides! 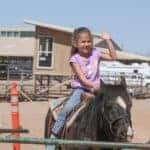 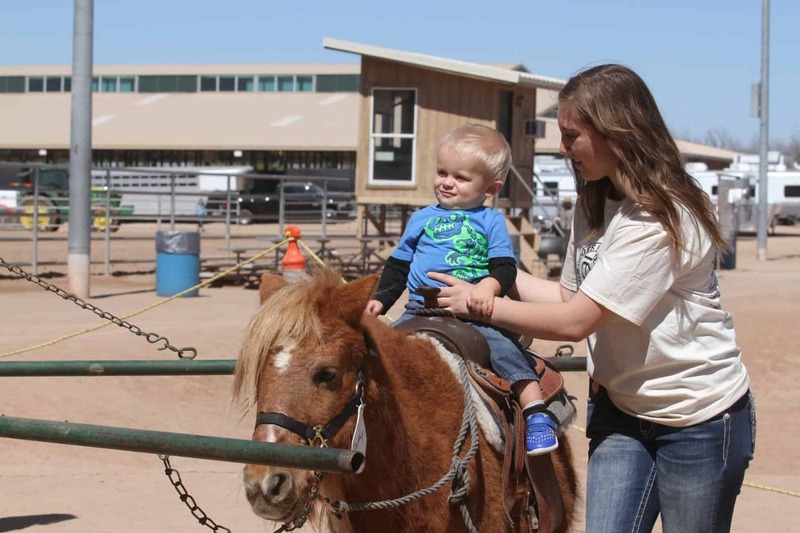 For just $5 your little wrangler can ride a gentle equine friend, which will be just their size! 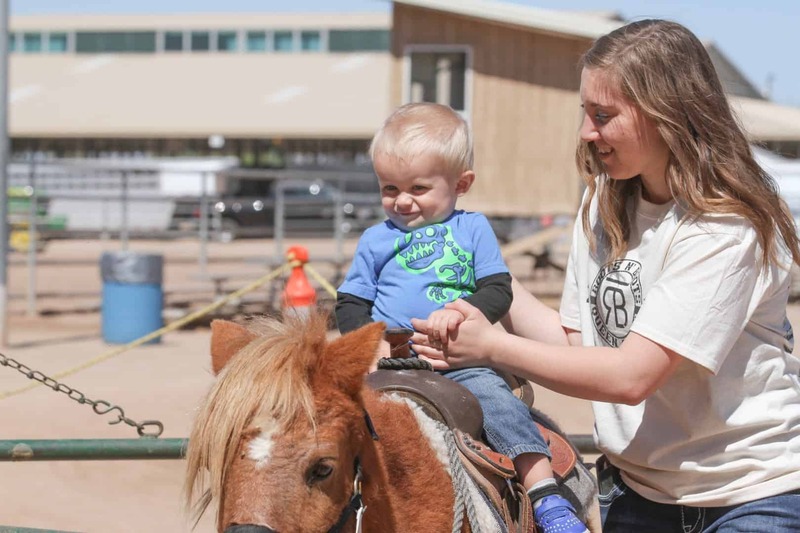 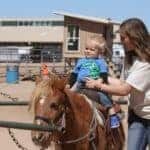 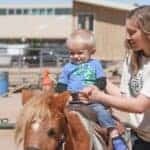 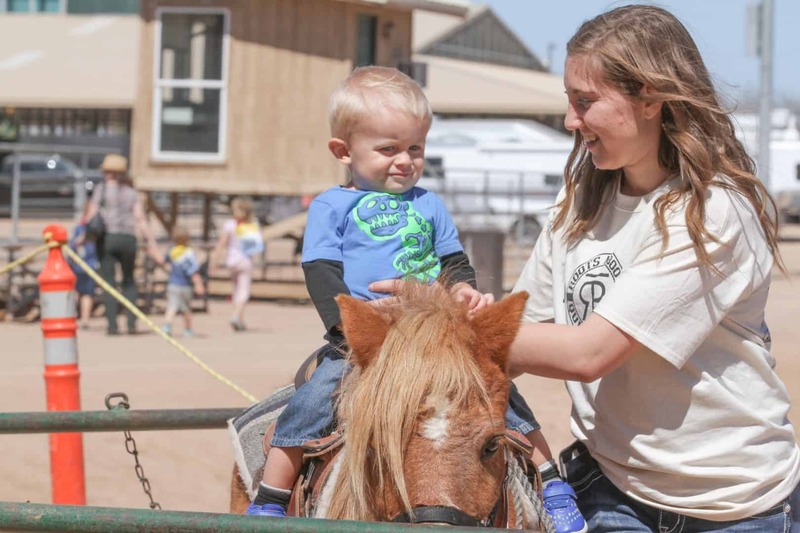 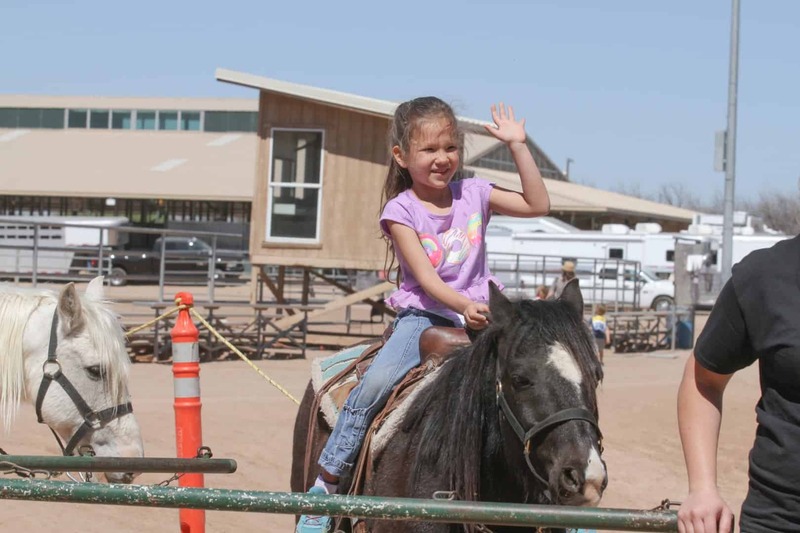 Located just outside the southeast corner of the covered Arena #1, the petting zoo and pony rides will be open Friday, Saturday, and Sunday – see our Schedule for hours of operation.